South Africa has always been renowned for growing some of the finest raw ingredients that go into making world class wines and spirits. But now, an exciting new spirit brand, Leonista, founded by Sarah Kennan, is celebrating one of the Karoo’s finest and most unique ingredients, agave. LoA chatted to Sarah Kennan this month to find out more. 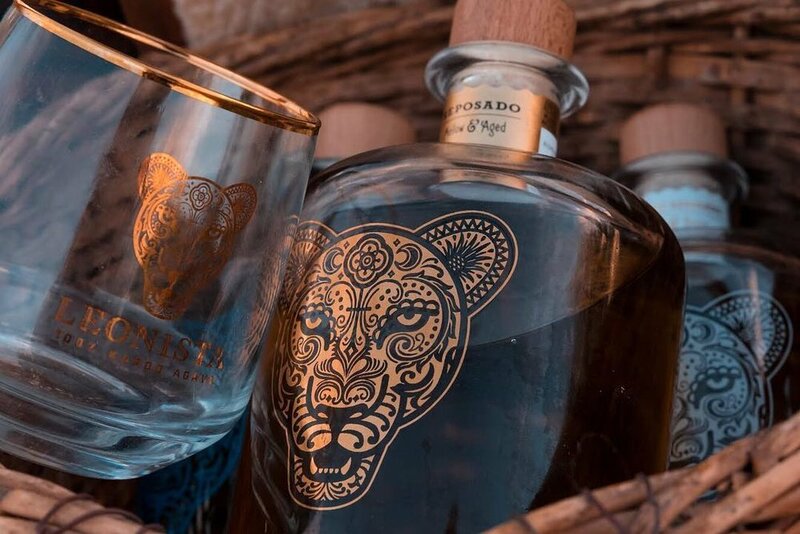 Leonista which meaning "Lion spirit", is the first 100% Karoo agave spirit in the country made in the traditional Mexican way. The production process follows an age-old recipe used in Mexico to make Agave spirits like Mezcal, which I learned about when I went to Mexico and worked with the master distillers there. It requires smoke and fire, hence Leonista has a delicious smokey flavor similar to that of a Mezcal. Tequila is a type of Mezcal and both are made from the agave plant. Tell us more about your products and what customers can expect. Leonista has three agave spirit products for our customers to enjoy - Blanco, Reposado and Honey Reposado. Blanco: meaning "White" is un-aged and the smokiest of the three. This is the closest to a Mezcal. Best served neat or with one block of ice. Best for use in cocktails with fresh ingredients. AWARDS: Gold medal winner at Michelangelo awards and Silver medal winner at the 2018 San Francisco Spirits Awards. Reposado: Meaning “rested", reposado is aged in oak barrels for three to six months which gives it that golden colour and is slightly sweeter beginning with subtle notes of smokiness at the end. Best served neat or on one block of ice. Great for use in cocktails with fresh ingredients. AWARDS: Bronze medal at the 2018 San Francisco Spirits Awards. Honey Reposado: aged in oak barrels for three to six months and then infused with raw honey sourced from around cape town. Hints of honey sweetness with subtle notes of smokey at the end. Best served cold from fridge neat or on one block of ice. Great for use in cocktails with fresh ingredients. Leonista is the first high quality 100% agave spirit (Tequila/Mezcal) to be made in South Africa using agave grown in South Africa. It’s organic and we are trying to be as sustainable and conscious as a company as possible. Leonista will be providing an opportunity for women entrepreneurs in the Lionesses of Africa community in Johannesburg to taste the fabulous Leonista range at a special tasting experience in April as part of the Lioness Lean In event. To build the same industry and culture in South Africa as I saw in Mexico. We are available nationwide in South Africa. Check the website for locations. www.leonista.co.za However, you can find Leonista in Norman Goodfellows, Yuppichef and Tops.